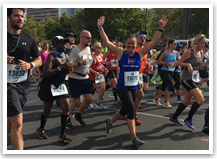 The fundraising minimum for the Berlin Marathon is $2,500 USD. This includes FREE race entry, DetermiNation training shirt and singlet and a personalized fundraising page to help you achieve your goal. As a part of your commitment, you must raise $1,250 by July 31, 2019. 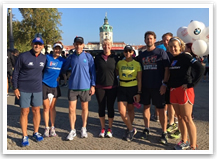 The American Cancer Society does not cover travel expenses to and from Berlin for the race. We strongly recommend the usage of the race's official travel partners for making all reservations. Your staff partner will provide you with additional details. 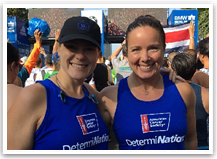 Your participation allows the American Cancer Society to help people facing cancer today and find cures to end the disease tomorrow. Through sponsorship, and the fundraising efforts of our participants, we will free the world of pain and suffering of cancer.